UEFA Euro 2016 Germany Vs Ukraine Players Formation Preview Prediction Kick Off Head To Head :- The 15th edition of Euro Championship cup is ready to witness one of the most sizzling contests between the Germany and Ukraine. These teams will face each other on June 13, 2016, at the Stade Pierre Mauroy in Lille. This is the 12th successive time when Germany will participate in the Euro Championship since its first Euro 1972. 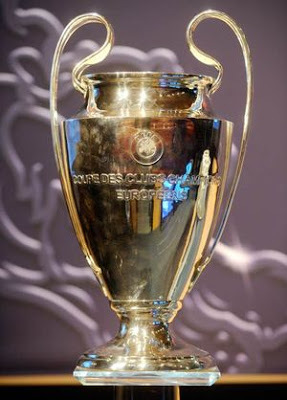 This team has won the Euro Cup Championship on three occasions as in 1972,1980 and 1996. The journey of Germany in the qualifying group was a bit of rollercoaster, although this team managed to top the charts in its group followed by Poland who was just 1 point behind the Germany. Germany has 7 wins, 2 defeats, and a single draw under his belt in the qualifying stage. In the friendlies games , Germany lost against France, England, and Slovakia but managed to win against the likes of Italy and Hungary. This proves the inconsistency in the performance of Germany in recent times and this is one of the major concern for this three timed Euro Cup crowned team. On the other side, Ukraine is ready to enter their second Euro Championship tournament, earlier this team has managed to qualify for the Euro Cup in 2012 when they hosted the Euro tournament along with Poland. Ukraine is in good form and lost only two matches out of their 17 matches. This team is unbeaten in their last 6 matches and only lost two matches against Spain in the qualifying stages. One thing is sure for Ukraine that there is no lack of Confidence and momentum for this team and would like to implement their winning momentum into this tournament in order to qualify for the knockout matches. These both team has faced each other for the total number of 5 times and out of that Germany managed to win 2 matches and the other 3 remaining matches resulted in the draw. This shows that Germany has the upper hand and not lost a single match. Ukraine is in sublime form but it is yet to conquer Germany and would like to win against the out of form Germany. But Germany has some edge over Ukraine and my prediction is in the favour of Germany. Germany is expected to walk out the match with win under his belt.